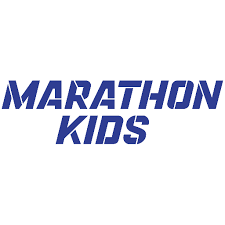 Marathon Kids is a local nonprofit which challenges children to run/walk 26.2 miles over the course of a 6 month period. Participants will keep track of their mileage using the printable log found below. At the end of the challenge, students will receive prizes based out how many marathons they were able to complete in the 6th months. This year NIKE is sponsoring this challenge and the prizes! ​104.8 miles completed: Nike 104.8 finisher bracelet! Marathon Kids participation forms were sent home in Thursday folders. Once this form is returned with a parent signature, students will receive a mileage log and may begin tracking their mileage. This year's final mile celebration will be held in Round Rock. Date to be DETERMINED. All participants are encouraged to attend! More information can be found at the Marathon Kids website. BELOW - Forms you can download.